The recreation, which took three months, served as a way to bridge the gap between the past and the present—since art conservation does not allow for paint to be added to the original work, the digital rendering brought the painting's color and beauty back to life. 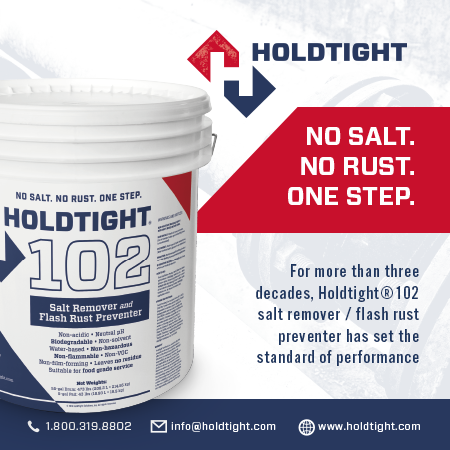 Using expertise from the company’s Color Technology Group, along with technology normally used in the automotive industry, researchers spent hundreds of hours working to produce the reconstruction, which provides a better understanding of the brightness of the painting’s original colors. 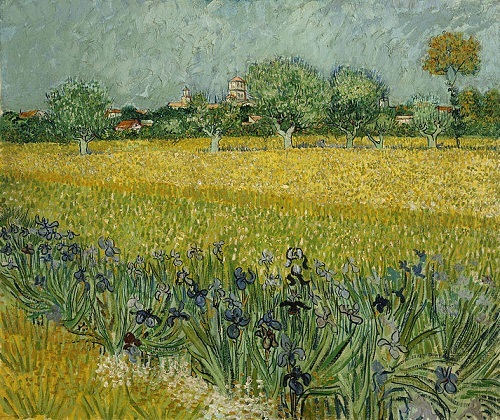 Vincent Van Gogh painted “Field with Irises near Arles” in 1888. The painting now calls the museum in Amsterdam home. The project began with AkzoNobel’s color experts studying digital images to parse out the pigment composition of the original painting; data was provided by the National Gallery in Washington. Ella Hendricks, the museum’s former head of conservation, began removing the yellowed varnish layer—which was applied after Van Gogh’s death—from the painting. This helped confirm color predictions, and opened the way for the digital recreation. During the process, the team investigated 13 mixing colors Van Gogh used for this painting, using either the same process to produce the paint or using pigments that imitated the actual paints he used. Challenges did crop up along the way: The team originally thought, based on its calculations, that the sky in the painting was very green, but conservation specialist Muriel Geldof found a different type of green pigment that had been overlooked before. 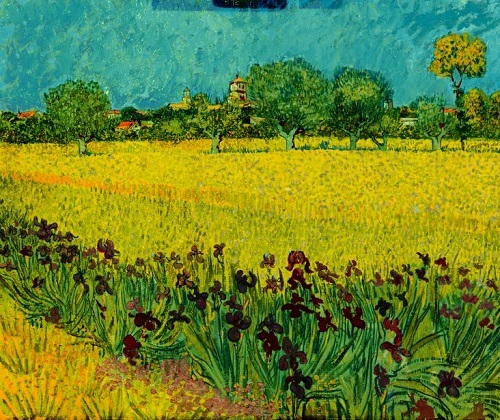 Van Gogh painted “Field with Irises near Arles” in 1888. The painting now calls the museum in Amsterdam home. AkzoNobel has been partners with the Van Gogh Museum’s restoration studio since 2013.